Specific accomplishments at each of these Unitarian Universalist communities are outlined in Rev. Marsh’s ministerial record. In San Francisco Rev. Marsh established a successful long-term co-ministry after a history of short-term tenures. While there he co-created worship and pastoral associate programs. His activities also included helping with that church’s partner church and social justice projects in partnership with allies who included the Faithful Fools Street Ministry and Habitat for Humanity. The achievements of which Rev. Marsh is especially proud include establishing children’s programs in inner city churches in Boston and Los Angeles, re-creating a sense of worship in Edmonton, and outreach to the LGBTQ community there. 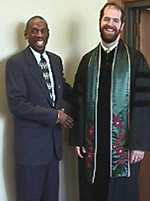 Author Geoffrey Canada with Rev. 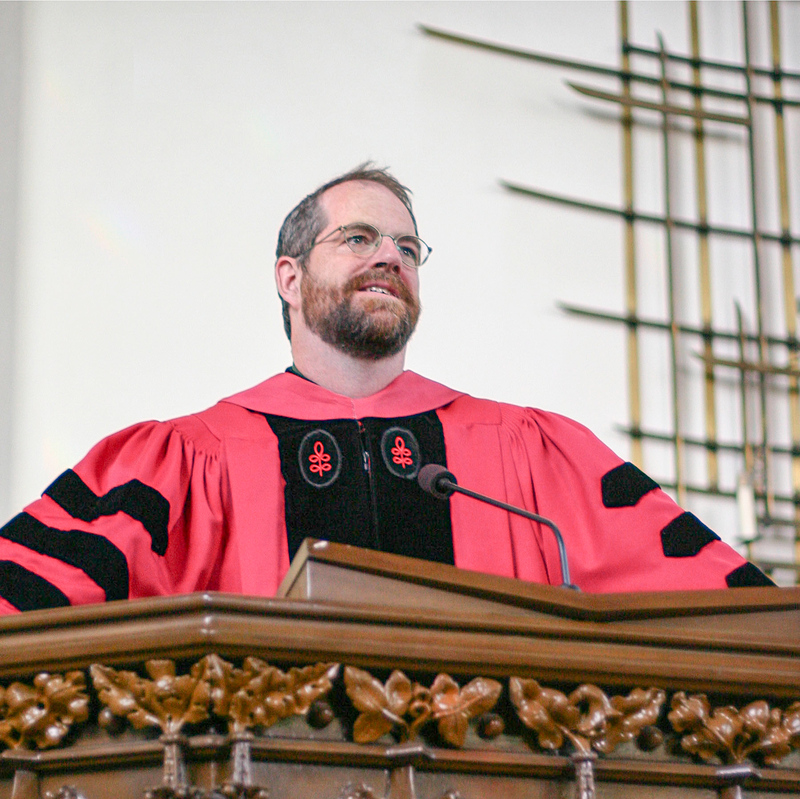 Marsh before Canada’s guest sermon in San Francisco. While focusing on Interim Ministry, Rev. Marsh has been skilled at readying congregations for their next settled ministry, helping them identify and resolve potential festering problems, and rebuilding critical areas of their organizations. 2006: Advisor/Consultant to “A Faith-Based Sexuality Education Guide for the Inclusion of Children and Youth with Special Needs” by Sally Patton (scheduled to be available online by summer 2007). 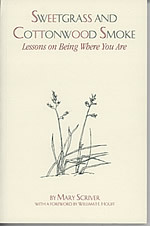 This guide is to supplement the “Our Whole Lives” (OWL) curricula. 2004: Unitarian Universalists for Ethical Treatment of Animals Special Award for various works, including commencing an annual service for the “Blessing of the Animals” at the San Francisco Unitarian Universalist Church. 2000: “Practicing the Scales of Rejoicing” in Essex Conversations (Skinner Press, UUA, Boston, 2001). 1999: “Choose Life” in Sermons, Homilies, Reflections on the Death Penalty (published by the American Friends Service Committee, Philadelphia, PA). 1998: “Reflections of a Fish Tank Man” in U.U. and ME: Church of the Larger Fellowship Children’s Magazine, September 1999, (Vol. 3 No. 2). 1996: Annual Social Justice Award of the Western Canada District of the Unitarian Universalist Association. 1995: “The Unitarian Church of Edmonton,” a history printed in Northern Lights, edited by Joan Montagnes, (Moosemilk Press, Edmonton, Alberta). 1994: editor, Sweetgrass and Cottonwood Smoke by Mary Scriver (Moosemilk Press, Edmonton, Alberta). I hope to help the next church I serve grow stronger as an institution and as a progressive force in its community. I look forward to celebrating life's passages with individuals and their families, and to leading public worship. I also hope to continue to be of service to our wider movement. From 1998 to spring of 2003 Rev. Marsh served as the Ministerial Settlement Representative for the Pacific Central District. This involved serving as a consultant to churches who are in search for professional leadership. While in San Francisco most of Rev. Marsh’s community work focused on abolishing the death penalty in California. He was the founding chair of the board of directors of the California People of Faith Working to End the Death Penalty (1987). This is a statewide organization whose mission is “to empower California’s diverse faith communities to end the death penalty through advocacy, education, and prayer.” While the death penalty has not yet been abolished in California — the group continues as an active organization. During his Spring, 2003 sabbatical Rev. Marsh made weekly visits to two men on death row at the San Quentin Prison. He has also been an active volunteer at the schools his children attended. Rev. Marsh served on the San Francisco Public Schools Middle School Language Arts Textbook Selection Committee. 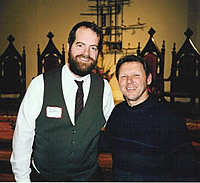 Father Roy Bourgeois with Rev. Marsh. Father Roy, a Vietnam veteran turned Catholic priest, founded and led grassroots opposition to the School of the Americas (SOA), a training facility run by the U.S. government to professionalize Latin American military forces. In conjunction with the Unitarian Universalist Heritage and Historical Society Rev. 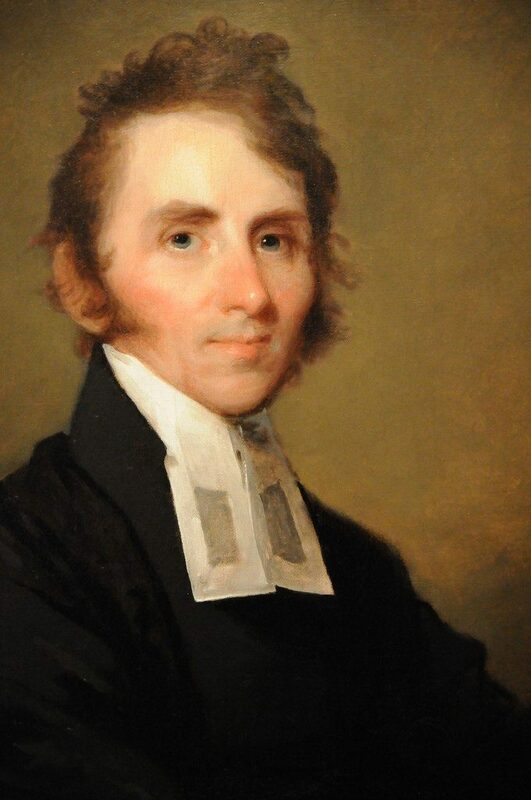 Marsh is hosting a blog promoting awareness of the bicentennial of William Ellery Channing’s Baltimore sermon. The sermon speaks for itself. Conrad Wright brilliantly explored the context in his Three Prophets. Charles Lyttle explored the sermon’s impact on our faith in his Pentecost of American Unitarianism. Rev. Marsh, with the help of others, has hosted ten dinners so far in the Lansing Congregation and also done a Saturday workshop and Sunday morning service at the People’s Church of Kalamzoo. Rev. 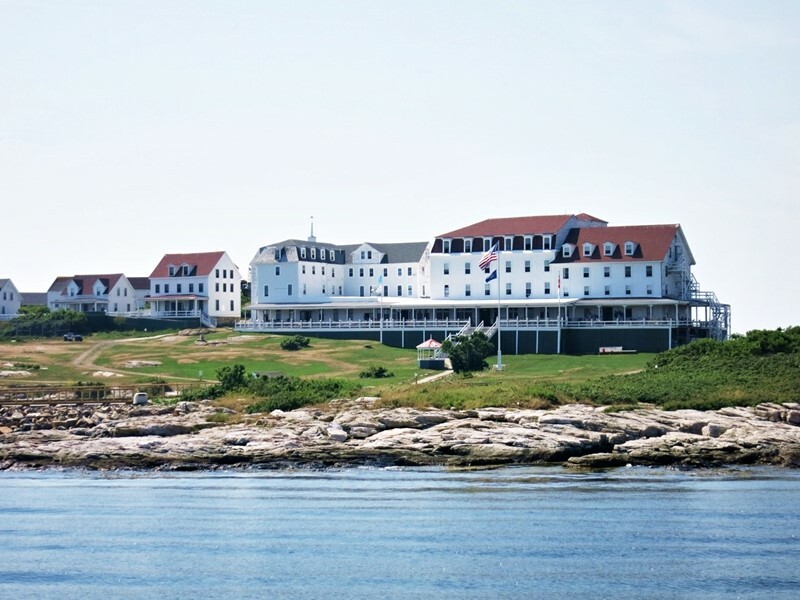 Marsh has agreed to serve as Minister of the Week on Star Island August 10-17, Life on a Star I. In 2012 I agreed to serve as one of the Spiritual Patrons of the Multi-faith Housing Initiative of Ottawa. MHI, as its names suggests, is a coalition of faith based organizations that work together to provide low cost housing to some of Ottawa’s most vulnerable families. In 2014 they launched a capital fund drive called “A Place to Call Home” with the aim of doubling their number of rental units. At our annual meeting that spring the Ottawa Congregation agreed to make support for MHI and “A Place to Call Home” a priority for the Congregation for the next two years. We kicked off the fall with a series of speakers (a Baptist Minister, a Jewish Rabbi, an Islamic spiritual leader, and me) talking about the legacy of Abraham, Sarah, and Haga, the theme of homelessness in their stories, and the importance of supporting the “A Place to Call Home” campaign. I worked with others to organize a fundraising banquet to honor one of the elder couples in our Congregation (Werner and Marjorie Daechsel) that have been long time activists on behalf of public housing. In February we put together a benefit concert celebrating the life and songs of Pete Seeger. We were able to feature some of the best local folksingers as well as the lead singer and lead guitarist from “Hey Rosetta” one of the most sought after indie rock groups in Canada. That spring the First Unitarian Congregation of Ottawa was given an award by MHI in recognition of being the Congregation that raised the most money that year. The next fall MHI, in part because of the success of its fundraising campaign, was awarded a gift of land from the city of Ottawa on which to locate its new homes. 2014: “Samuel Gridley Howe,” biographical essay published in “The Online Dictionary of Unitarian and Universalist Biography”.